It was the best food tour ever. 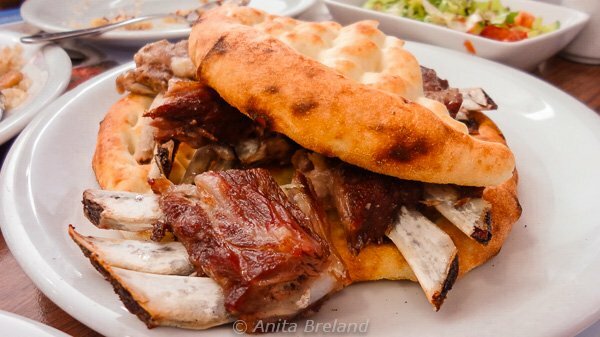 I had traveled to Turkey once before on a business trip, and enjoyed the every meal immensely. 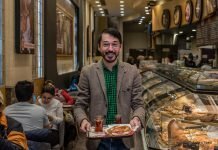 As it turned out, I had no idea how great a Turkish food experience can be—and how much of the country one can experience—just by going on a food tour of Istanbul. I always travel with my next meal in mind, and I enjoy sampling local specialties, especially the home-cooked ones. Whenever possible, I try for a cookery class, for some hands-on with the local cuisine. 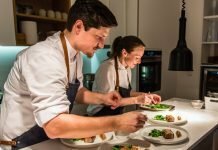 When I returned to Istanbul last month with my husband, we were also keen to follow the recommendation of others, and explore the city’s food culture with Istanbul Eats. The Two Markets, Two Continents tour took us from the wharves near the Galata Bridge to Kadakoy on the Asian side of the Golden Horn. The day was so flavorful and entertaining, we signed up for another tour, Culinary Secrets of the Old City. The first tour began with a hearty breakfast at a small waterfront restaurant opened just for our group. 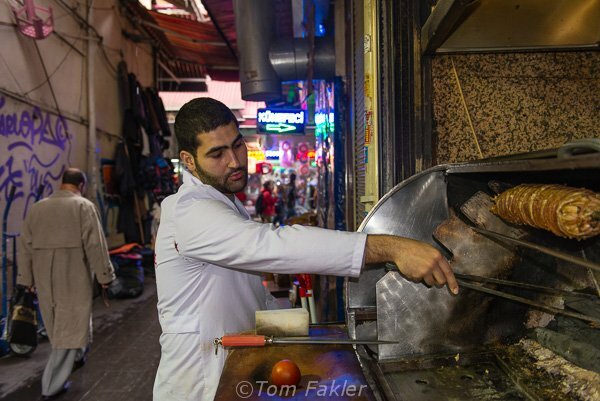 On the second one, we picked up breakfast rations from street carts around the Egyptian bazaar, spread out newspapers on a table, and ordered tea and Turkish coffee from the pocket kitchen of a han (caravanserai) serving nearby coffee merchants. The Orient Express used this as the starting point toward the mysterious East. 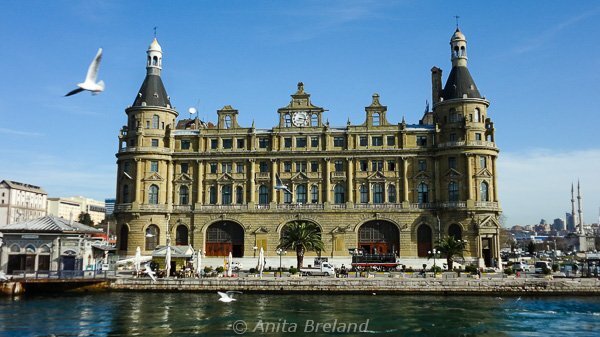 Haydarpaşa still sends railway passengers east to Baghdad. Thanks to Istanbul Eats, I had a foodie entrée to Turkey that will be hard to beat. There are a number of reasons for that—here are four that raised the bar for me. 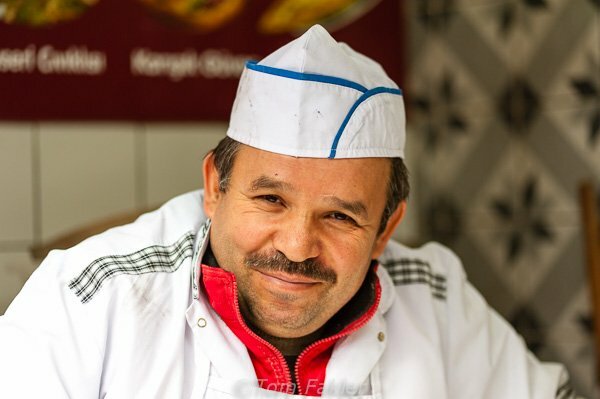 Istanbul Eats is based on a love of Turkish culture, experienced through its food. Founders Ansel Mullins and Yigal Schleifer have experimental taste buds and a journalistic bent. 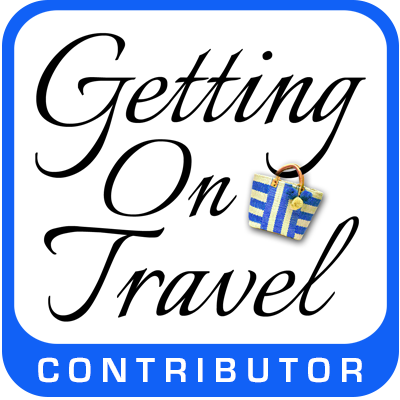 It is no wonder their blog was named Saveur’s best culinary food blog in 2012! Angelis, a Greek expat from (yes!) Drama, was our guide for both tours. He is a charming, well-informed ambassador for his adopted city. His energy was unflagging as he led us on a six-hour romp through bazaars and the bustling streets of Istanbul. Frequently stopped for a bear hug by one vendor or another, he seized every conversational opening to pop in nuggets of delectable information. I now know a han when I see one, and have a new appreciation for the people who work in them. 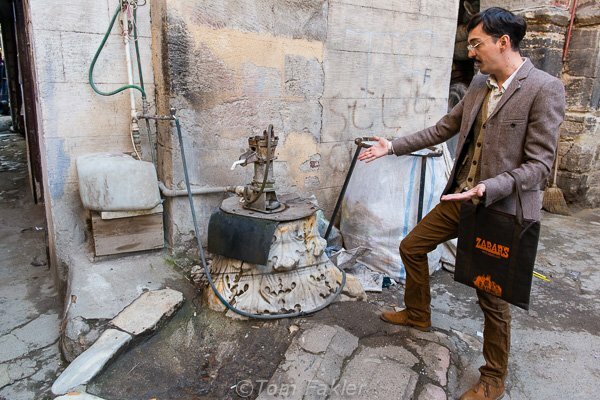 An antique pedestal, pressed into service as a fountain for the locals in a foundry, based in a han, in Karakoy. My dinner party trivia quotient just went up a notch. 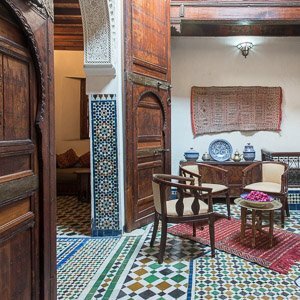 The best tours in any city provide historical and geographical context. 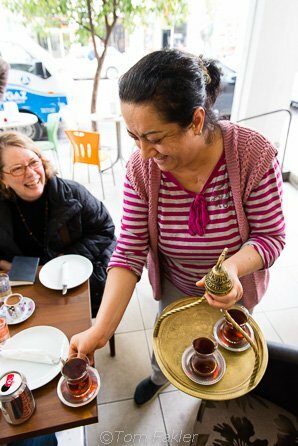 Our walks with Angelis took culinary touring approach to a level I’ve not experienced elsewhere, providing a well-rounded does of Turkish culture along with our snacks and meals. In Istanbul, we learned about the waves of immigration into the city, from the days of Ottoman conquest to the more recent arrivals of immigrants from all over Turkey, and elsewhere in the region. Home cooks from Kaseri, pastry makers from Gaziantep and restaurateurs from Armenia and beyond have brought their food traditions with them. They wield grills, sauté pans and soup pots with the fervor of home, and workers—on the docks, in the bazaars and from office towers—come running. 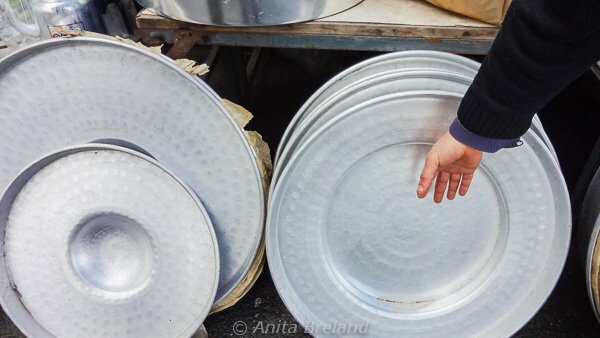 Touring the stalls selling kitchenware of all sorts, I learned the difference between these two pans. Next time I need to rustle up some tatumi, I’ll be prepared! Lamb cooked underground on a purpose-designed spit emerges meltingly tender. 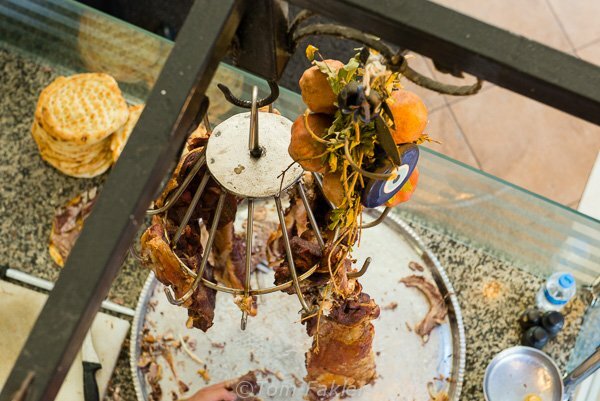 Succulent lamb, spit- and pit-roasted in the traditional manner. Families enjoy the delicious foods that attract businessmen—and tourists in the know. One characteristic of any new culture is the unfamiliar, as referenced through food. For many, it can take a leap of faith to try, say, organ meats or quaff vinegar as an aperitif. From Angelis, came reassurance at pivotal moments: “just a taste, they don’t expect you to eat it all!” In fact, everything except the tripe soup was delicious (I have now tried tripe on four continents, and I still don’t like it, but that is certainly no fault of Angelis). 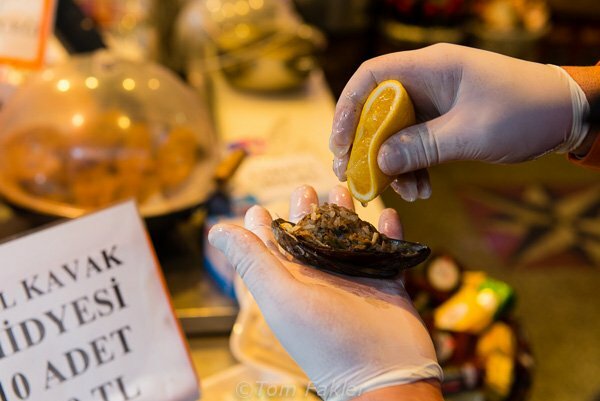 “You can try mussels here, no worries!” Street mussels are an Istanbul treat, stuffed with cinnamon-spiced rice and eaten cold. These were—in a word—divine. An unexpected pleasure: Kakoy, a sandwich with a crispy filling of sweetbreads grilled in a calf intestine, chopped fine, and layered with slices of tomato. 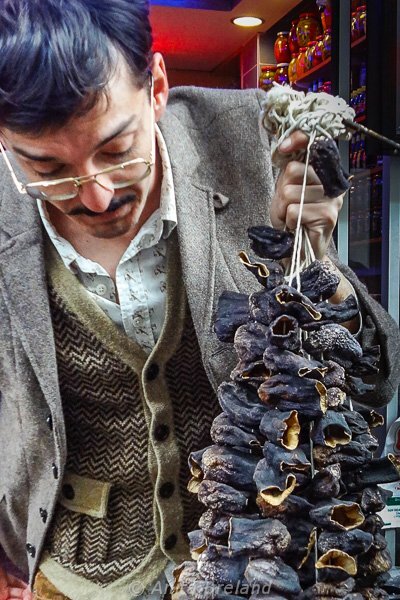 With Istanbul Eats, you get much more than what you see. Angelis pointed out restaurants we might want to try later, on our own. When we stopped at vegetable stalls, he described some of the dishes we might want to look for, such as stuffed dried eggplant and peppers. We also received a copy of Istanbul Eats’ handy culinary guide to the city. Seeking out the restaurants listed in the book proved a good way for me and my husband to explore new neighborhoods on our own. Besides the tours, thanks to Istanbul Eats, I spent a morning in the kitchen with Turkish Flavours and an afternoon at Sabirtasi, learning to make manti. 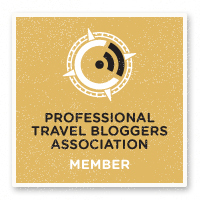 For someone as food-centric as me, two weeks in Istanbul were more like two weeks in foodie heaven.I look forward to another opportunity to travel the Culinary Backstreets with this crew of passionate food guides! Thank you so much for writing this article! It is wonderful. We are heading to Istanbul in May and have booked a tour with Ansel. Your insights and stories have me so excited I can hardly wait…if I can ever get a handle on the names of all of the food options! 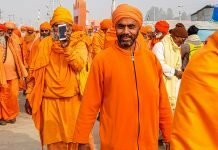 If you enjoyed the post, you will love the tour! Have a great trip. I look forward to checking out your blog, too.